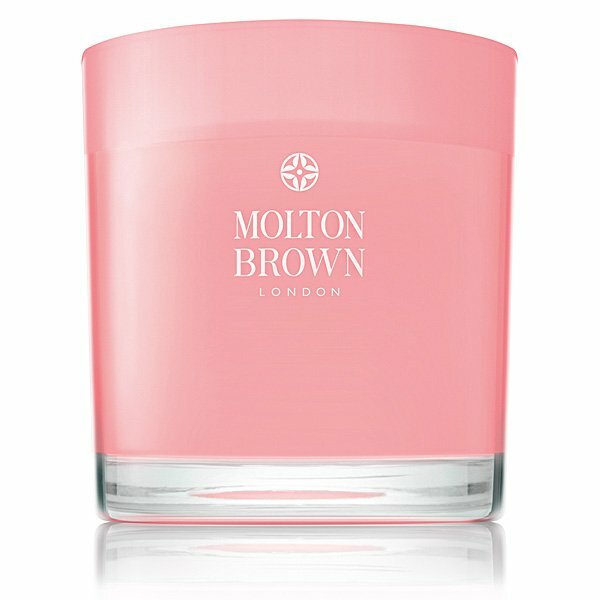 Molton Brown Rhubarb & Rose 3 Wick Candle is London via Yorkshire. A vivaciously tempting blend, a fruity melody of bitter rhubarb, zesty grapefruit and yuzu, envelops the home in tantalizing, sweet aromas. A crimson summer tart. Freshly picked roses. Bowls of sugar, spice and all things nice. A beautiful gift for the home to impress your host.. Vivacious. Fizzy. Tempting. The Blend: Top notes: Tart rhubarb. Middle notes: Gentle rose. Base notes: comforting musk. Molton Brown 3 Wick Scented Candles are expertly blended for optimum burning time and fragrance delivery, and will enkindle your space with feelings of tranquillity, warmth and energy. Housed in hand-blown glass, with 3 cotton wicks, and blended in England, Molton Brown 3 Wick Candles provide contemporary style and compelling scents for the home.